Remote controls both the speaker and your iPod. Transform your music into crystal clear sound from your iPod! The built-in docking station can recharge your iPod while listening to music. 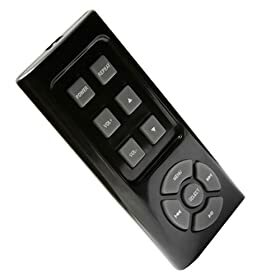 Relax with the convenience of a wireless remote control. A secondary input jack enables connection with other audio devices that have 3.5mm stereo jack. Powered by 4 AA batteries, or 6V DC power supply (power adapter is included). 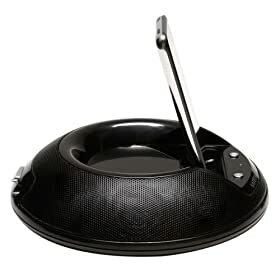 The iSound Dock Station Stereo Round Speaker is ideal for your home or office. The speaker is light weight and portable, carry anywhere you go!